The tropical island master suite was successfully transformed from 1970s “earth tones” into a cheerful and relaxing space . The updated theme was inspired by beach sand, the sky and the sea. Limestone tiles were shaped and polished to look like sand dunes in Hawaii. 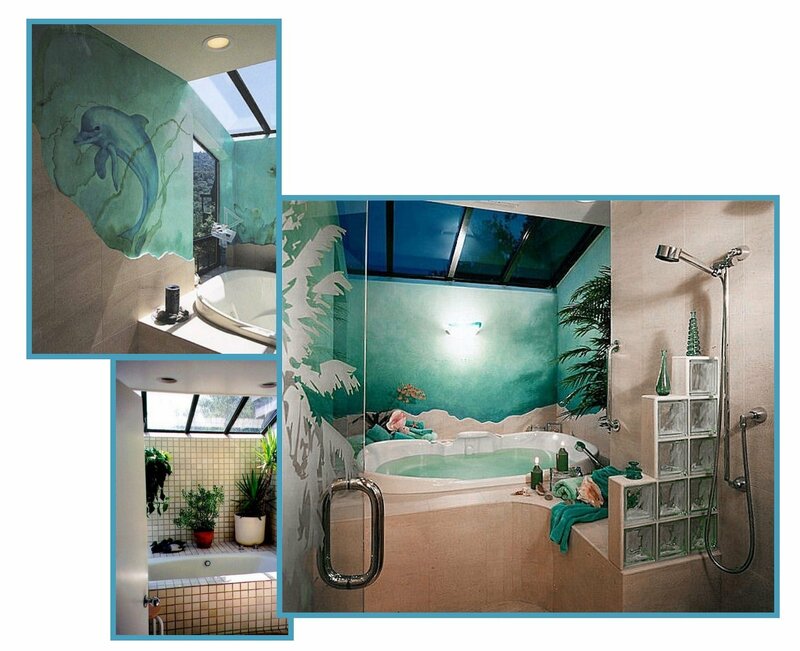 A new private toilet room was created; the whirlpool tub and shower became a “wet room,” with a custom glass door. 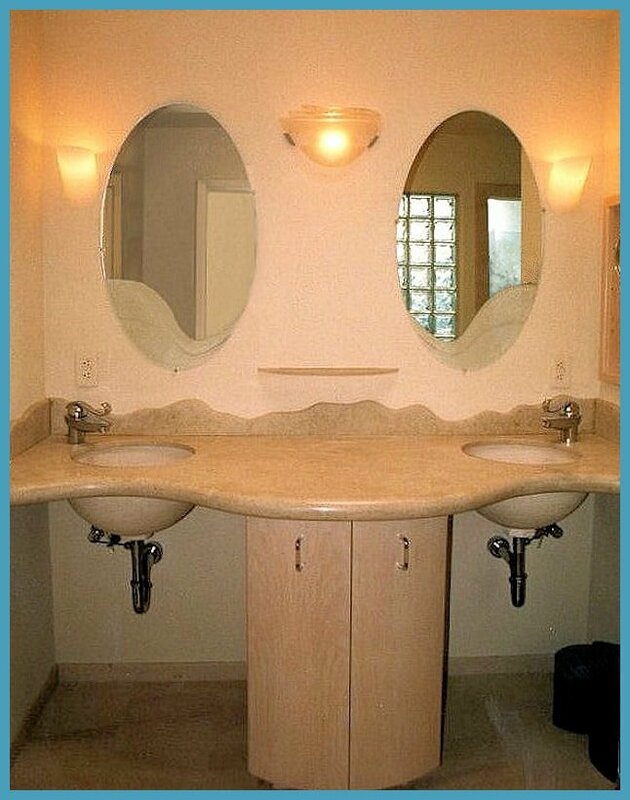 There’s a custom lavatory “island” with pullout pantries and limestone bowls suspended from the countertop. Imagine taking a shower, or bathing, with a smiling dolphin as your guardian!